In the two weeks leading up to the Big Ten Championship Game, Northwestern head coach Pat Fitzgerald prepared for the possibility of playing either Michigan or Ohio State. After reviewing film of both teams, he had no desire to play either. But now that Saturday’s matchup with the Buckeyes is a reality, the work really begins. As a defensive coach Fitzgerald first looks at the Ohio State offense and what they were able to do last week against Michigan’s top-ranked defense. He saw a Buckeye juggernaut that had answers for everything the Wolverines tried. He also saw a very fast Ohio State team. How much of a concern is that team speed? Speed is just one aspect of the Buckeyes that concerns Fitzgerald, however. While speaking on Monday’s teleconference along with OSU head coach Urban Meyer, Fitzgerald was able to rattle off Ohio State’s roster like an excited fan, but with the tenor of a concerned coach. Of course, being a former All-American linebacker, Fitzgerald also found some time to look at the defensive side of the ball for the Buckeyes. The first thing that jumped out at him is the first thing that jumps out at everybody. While the Ohio State defense hasn’t exactly been stellar this season, there is enough on tape to keep Fitzgerald and his offensive staff busy. There are also some familiar faces for him as well. Some of what Schiano has done has raised eyebrows among Ohio State fans, but Fitzgerald sees what the scheme is supposed to be doing. And with the talent on hand, why Schiano would lean toward doing it. But then like a true Big Ten football coach, it all comes back to special teams. And after after essentially breaking down the entire Ohio State starting lineup by answering a reporter who simply asked “What concerns you about Ohio State?” Fitzgerald went back to something he repeated throughout the teleconference. On a new matter, could someone give me guidance on ND’s playing in the ACC for basketball but not football. While I am aware of their clout this appears to be “over the top”. They are not on the Atlantic Coast by a long shot but they do sit pretty much in the center of the Big Ten. I think its a basketball thing. Since the conference champ gets an automatic bid to March Madness, ND joined the ACC for everything but football. Probably ND is the only program that could get away with it. I do think they agreed to play 6 ACC foorball games a year. 1. He’s played MI and the only coach besides Urban, that came the closest to beating them and the only coach to have a 17 pt. lead like OSU had on MI. 2. He’s seen how OSU has struggled recently at MD, NE, MN and what PUR did to us and that his O resembles more their O than MI’s. 3. He also knows that OSU has not put together two back to back solid performances, and how a trip to the Rose Bowl can ignite a fire under his players. 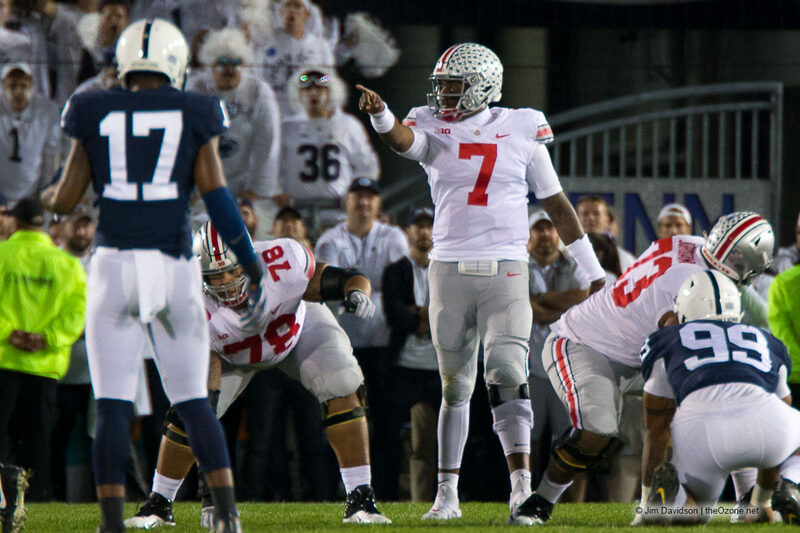 He knows the closer he keep it, the more pressure builds on OSU. 4 . He knows that OSU may be sleep walking, thinking about a playoff birth after their cloud 9 win. 5. Hopefully, Urban and OSU’s razor sharp O and a sharp D performance for a few possessions will lay that all to rest as OSU seeks build a large, early lead, and Urban wants to send a 2014 type of beat down message to weary BCS playoff voter’s, especially if OK beats TX. He’s also seen the penalties as an extra source of yardage, if not points. Fitz teams have always been ball hawks. His remarks are straight out of the Lou Holtz playbook.